If you're interested in becoming licensed to start your own Geri-Fit business, read on. Instructors can purchase an Individual Instructor License which allows you to teach the Geri-Fit evidence-based program at locations you cultivate within a 25-mile radius of where you live. An example of license use would be if you are teaching Zumba at a yoga studio and you'd like to now offer Geri-Fit. The license allows you the right to use the Geri-Fit® trademark brand name and other intellectual property such as the evidence-based lesson plans, the client handouts, and other marketing materials that bear the Geri-Fit logo. License fees are a one-time fee of $950 and includes complete training and certification for one instructor. After year one, there is an annual license renewal fee of $150. There are no other fees, royalties or hidden costs. We make it very simple to offer this turnkey program. < p="" />For additional questions you may have about becoming a Geri-Fit® licensee, view this short power point demonstration. If you have any questions, click the CONTACT US link on the upper right hand side from any page on our website and a member from our team will respond back as quickly as possible. 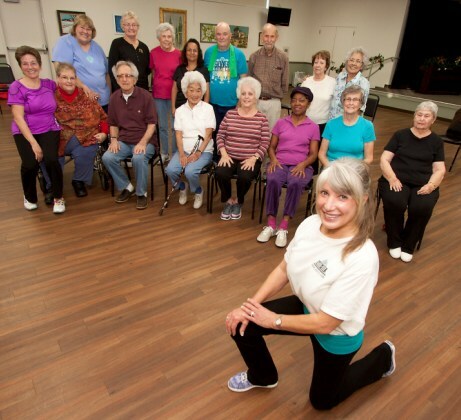 Find out how you can make a difference in your community by offering the Geri-Fit® evidence-based exercise program for older adults. Apply today by using our no obligation Online Application. After submitting the application, please allow up to 48 hours for a Geri-Fit representative to contact you. * The Geri-Fit National Instructor online training program is an accredited distance learning course that is recognized by the American Council on Aging (ACE), the National Strength and Conditioning Association (NSCA), the National Certifying Council for Activity Professional (NCCAP), and other national certifying organizations.